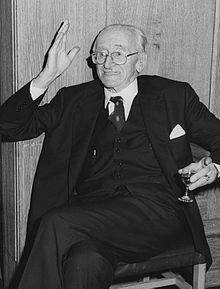 Eacnamaí agus fealsamh ab ea Friedrich August Hayek (8 Bealtaine, 1899 - 23 Márta, 1992), a rugadh san Ostair-Ungáir mar Friedrich August von Hayek agus is minic a dtugtar F.A. Hayek air. B'Ostarach é, ach ina dhiaidh sin d'iompaigh sé ina Bhriotanach, agus is fearr aithne air mar cosantóir na liobrálachais clasaicí. Sa bhliain 1974, bhain sé (agus Gunnar Myrdal), Duais Nobel san Eolaíoch Gheilleagrach amach, mar gheall ar a "obair cheannródaíoch i dteoiric an airgid agus luaineachtaí eacnamaíocha agus ... anailís threáiteach ar idirspleáchas na feiniméin eacnamaíocha, sóisialta agus institiúide". Bhí Hayek ina eacnamaí mór le rá agus ina smaointeoir polaitiúil de chuid an fichiú haois. Meastar cuntas Hayek, ar an gcaoi a gcuireann athrú i bpraghasanna faisnéis in iúl, a chuireann ar chumas daoine aonair a gcuid pleananna a chomhordú, mar éacht tábhachtach san eacnamaíocht. Chuir sé chomh maith leis na réimsí a bhaineann le smaointeoireacht córais, dlí-eolaíocht, néareolaíocht agus stair na smaointe. Ebenstein, Alan O. (2001). Friedrich Hayek: A Biography. Feldman, Jean-Philippe. (December 1999) "Hayek's Critique Of The Universal Declaration Of Human Rights". Journal des Économistes et des Études Humaines, Volume 9, Issue 4 : 1145–6396. 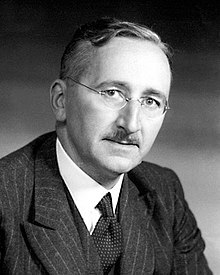 Hayek, Friedrich August (1948). Individualism and economic order. University of Chicago Press, ISBN 978-0-226-32093-9. Tebble, Adam James (2010). Hayek, Continuum. Wolin, R. (2004). The Seduction of Unreason: The Intellectual Romance with Fascism from Nietzsche to Postmodernism. Princeton University Press, Princeton. Tugadh an leathanach seo cothrom le dáta an 23 Nollaig 2018 ag 21:50.